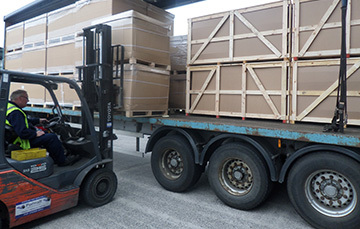 Our depots are ideally located throughout the UK to serve your National needs. 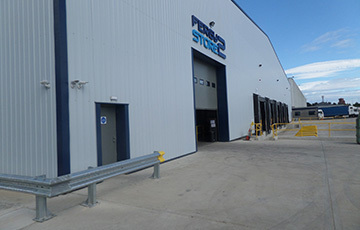 Over 350,000 sqft of warehousing space available across our 8 different facilities in the UK. Tailor-made solutions for all your logistical requirements. 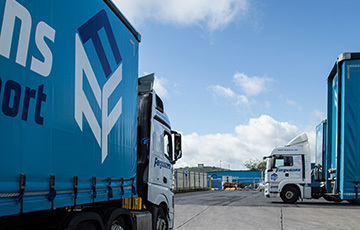 The logistics division is based at our Northern Operating Centre in Washington, Tyne & Wear. 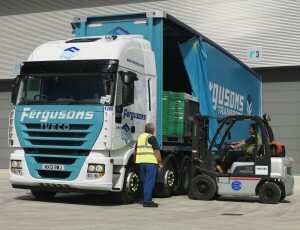 Fergusons have a qualified team of professionals whose objective is to develop a close partnership with our customers. Working with them to explore all opportunities for increasing efficiency i.e. maximise cube utilisation, improving service levels, enabling the customer to concentrate on their core business. Operating on a 24/7 basis, which also involves making operationally critical “Just in Time” deliveries. Utilising the latest technology to provide a full “Track and Trace” facility for our clients.. Collecting & consolidate goods for a number of customers and suppliers to create cost-effective, full load scheduled deliveries.